Pure Trail Deep River 10k at Castle Drogo, 143 runners started on the downhill route to Fingle Woods followed by an undulating route along the river, before heading back up the last mile towards Castle Drogo. Results 7th Brian Lewis (51.31) 27th Debbie Webber (58.59)-50th Tas Felstead (1.03.45)-58th Lisa Haley (1.05.13)-90th Michele Sandhu (1.11.53) Photo at Drogo L/R Brian Lewis, Michele Sandhu, Debbie Webber Lisa Hayley, Tas Felsted. 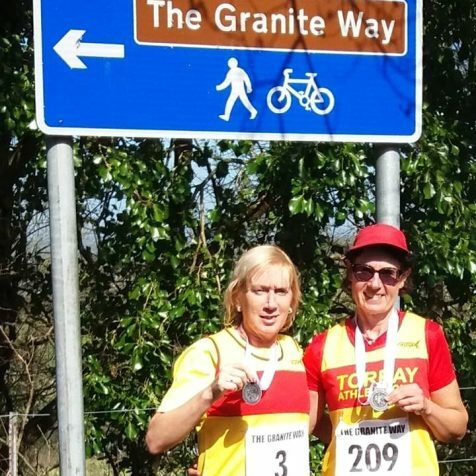 (1:32:10) with Debbie Drake covering the 20 Miler in (2:51:01) The run took them along the Granite Way cycle path through Devon with fantastic views of Dartmoor and the surrounding countryside. 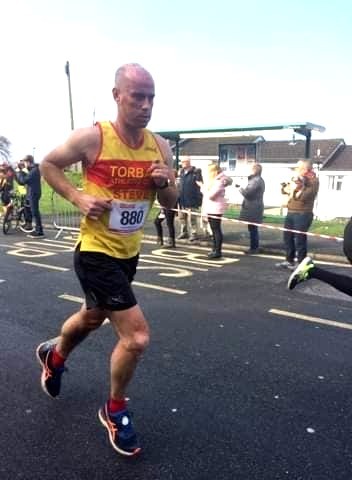 Nick Robinson ran in The forest of Dean Trail Half Marathon in near perfect conditions. Nick finished the race in (1.30.30) 250th out of 1884 finishers claiming a course PB by just over a minute. 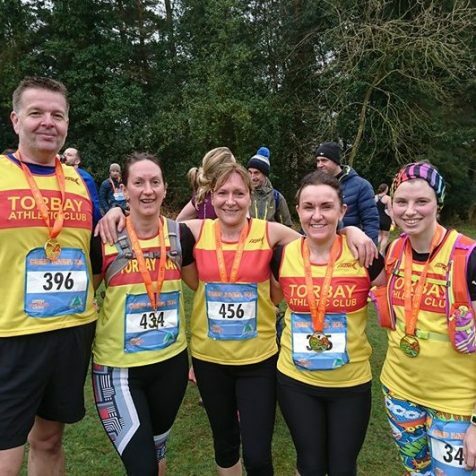 Three Torbay AC runners took on the undulations and hills of the Tavy13 Half Marathon. Starting at Tavistock College 600 runners headed 8 hilly miles out through the lanes of Tavistock in the sunshine to Dartmoor National Park before a 5 mile gradual then downhill to the finish line.